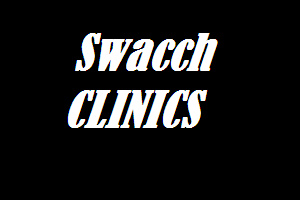 DHARAMSALA: Building up to the World Twenty20, the International Cricket Council (ICC) Cricket for Good and Unicef in partnership with Indian cricket board (BCCI) launched Team Swachh clinics at the HPCA Stadium here. The clinics, a collaboration between the ICC and United Nations Children’s Emergency Fund (Unicef), are being held alongside the ICC World T20 Host City Tour to build a social movement for sanitation and toilet use in India to rid the country of open defecation. The World T20 men’s and women’s trophies travelled through this picturesque hill station of Himachal Pradesh to the beautiful stadium, with a special bus carrying children from local NGOs. India cricketer Rishi Dhawan, who last month became the first player from the hill state to play a match wearing India colours, was also accompanying the children. Dhawan, who played three One-Day Internationals (ODI) against Australia, played tennis ball cricket with the kids at the stadium after which the children advocated the use of toilets and discussed the importance of hygiene and sanitation with him. “The idea of team and team play is at the core of the Team Swachh initiative and it leverages the vast passion of the sport in the country to advocate toilet use and save lives of children,” Unicef India chief of communication Caroline Den Dulk said. After Dharamsala, the ICC World T20 Host City Tour will visit each of the venues that will host matches of the showpiece event. The World T20 will be held in India from March 15 to April 3 at seven venues — Dharamsala, Mohali, New Delhi, Kolkata, Mumbai, Nagpur and Bengaluru. The iconic Eden Gardens in Kolkata will host the final of the tournament.